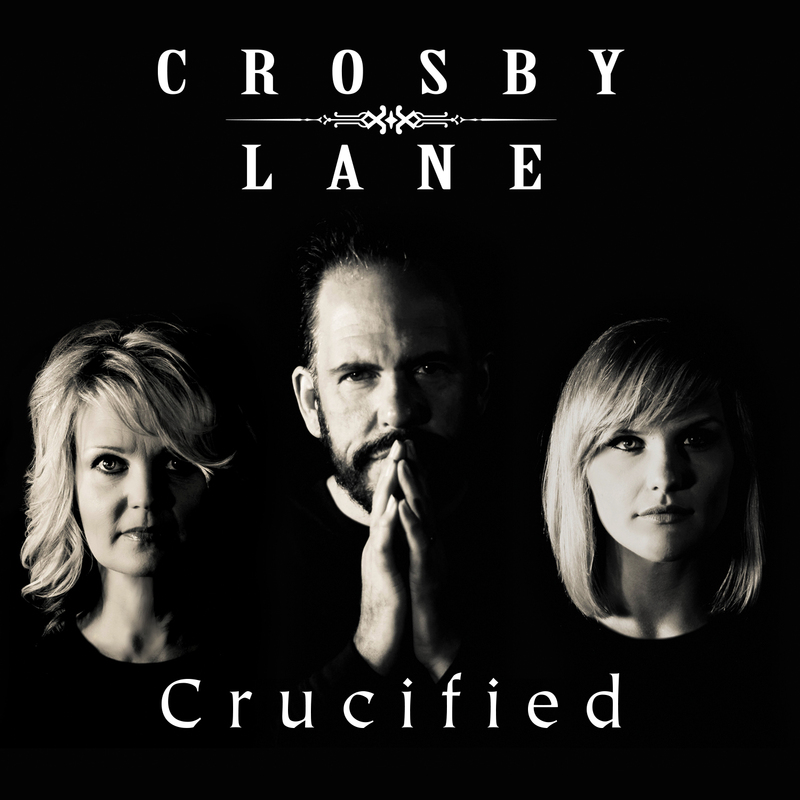 Tonja and Crosby Lane has been experiencing a grass roots growth in the past 2 years and continues spreading their rootsy, eclectic style into the Country Radio Market with the release of “Crucified” by Mansion Entertainment. The single was released on Nov 18th via PLAYpme and was in PLAYmpe’s Country Weekly Top 20 Streams and Download charts by Radio Programmers within the first 2 days. The new release is also the title of their new album, releasing December 11th, 2015 and features the signature dobro contributions of musician Rob Ikes. Crosby Lane is comprised of singer-songwriter Tonja, multi-Dove nominated songwriter, singer and instrumentalist John Lemonis, and vocalist, instrumentalist and songwriter Michaela Lemonis. The vocal and instrumental group has enjoyed a successful debut album release this past year which included an increased tour schedule and significant growth in radio airplay on multiple formats as well as numerous radio and television appearances. “Crucified” was written by group members John & Michaela Lemonis and was released to Country Radio via PlayMPE and is available to programmers by contacting Mansion Entertainment’s John Mathis. Video production for “Crucified” begins later this month and a concept video and lyric video are slated for release in December along with the release of the new album.